Q:Is this barrel big enough to converted into a card box for a wedding? Q:If you choose text line and put "Groomsman" in text line 1 and "8/1/15" in text line 2 how will that show on the barrel? Will it be written in a straight line or will groomsman be on top and the date centered underneath? What's the layout? A:"8/1/15" would be underneath "Groomsman". 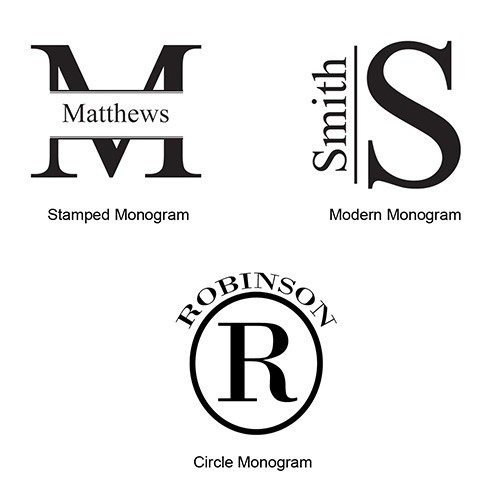 A:To order multiple barrels with different initials, you will need to add each one separately to your cart. Once you've placed the first one in your cart, you can go back to the product page to add each additional one. Q:Is this barrel charred on the inside? Show off your craftsman style with this steel-banded miniature oak whiskey barrel. Perfect for bachelor parties, rehearsal dinners, and adults-only wedding receptions, these designer barrels are made of solid oak and reinforced with steel bands. 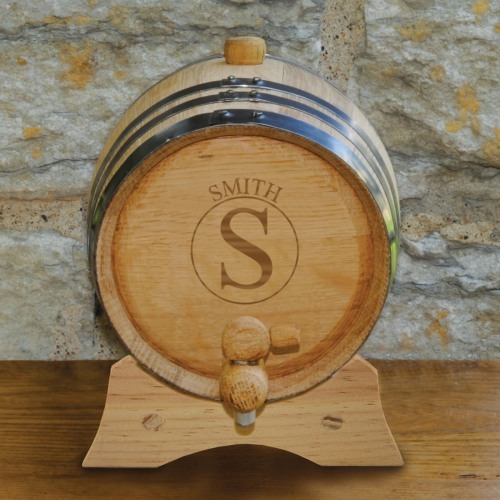 Each wooden barrel can be personalized with an initial or name, and comes with its own stand, spigot, and stopper for the ultimate in convenient pouring. Instructions for curing, cleaning, and sterilizing before use come with each barrel. Use it to age your favorite liquor, or as a decorative way to serve drinks at your event.